In June, the vessel was at the centre of standoff between Italy and Malta and remained stranded at sea for days, with more than 600 migrants on board. In a statement, the Armed Forces of Malta said the rubber dinghy was spotted during a routine border patrol. 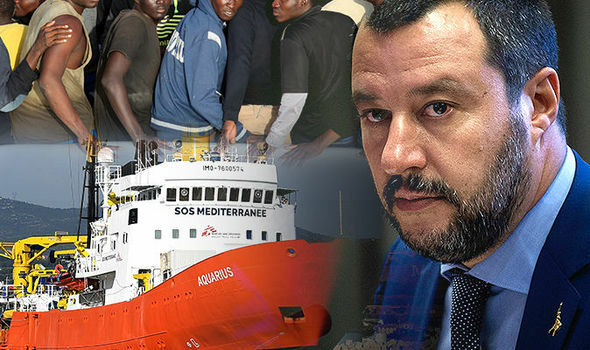 The director of the French port of Sete on the Mediterranean coast said meanwhile yesterday that he would be prepared to let the boat, carrying migrants mostly from Somalia and Eritrea to dock if the government gave the all clear. "We're asking them to be responsible and find a safe port in the Mediterranean", she said, accusing Italy and Malta of flouting worldwide maritime law. She added that Libya's maritime authorities, who coordinated the rescue, said: "They could not offer us a safe port and that we had to contact other rescue coordination centers". The Maltese authorities said they were monitoring the situation and in touch with overseas counterparts. Migrants are seen resting on board the MV Aquarius rescue ship run by SOS Mediterranee organisation and Doctors Without Borders during a search and rescue (SAR) operation in the Mediterranean Sea, off the Libyan Coast, August 12, 2018. The migrants will be brought to Malta in the afternoon, sources said.